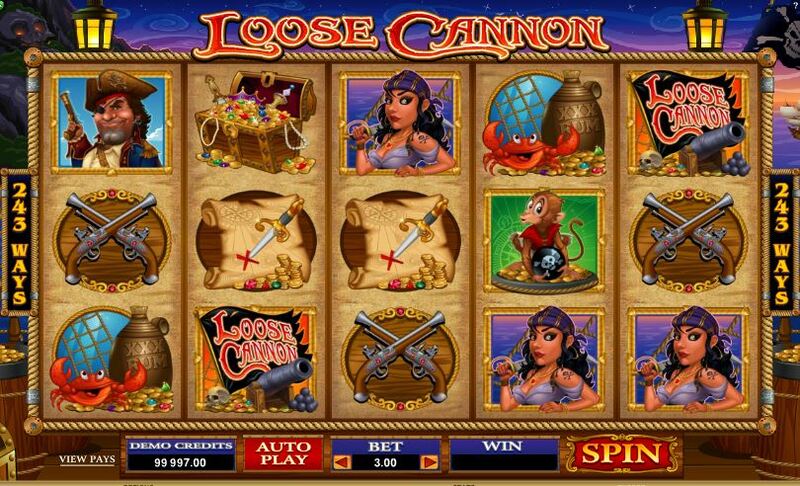 Loose Cannon slot is a pirate-themed game by Microgaming with 243 ways and 5 reels. 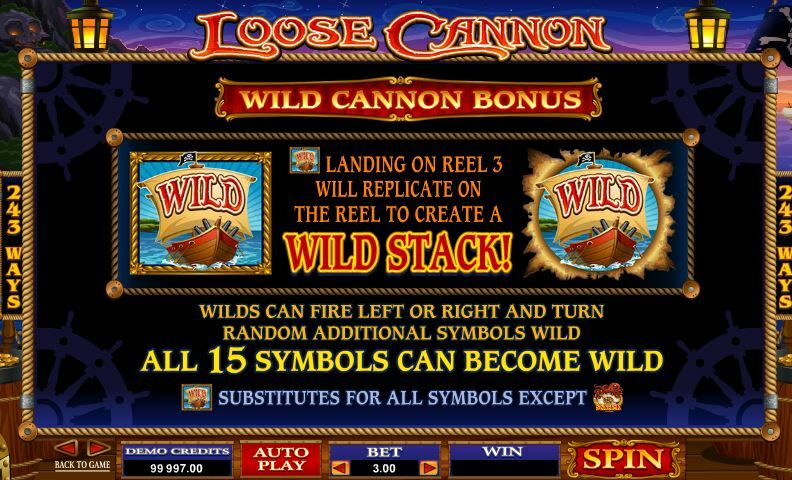 There are no Wilds aside from Cannon on reel 3 which expands to fill the whole reel, but that’s not all – it can fire sideways and turn 1 – 12 of the other symbols Wild too, so there is the possibility of a full screen of Wilds! 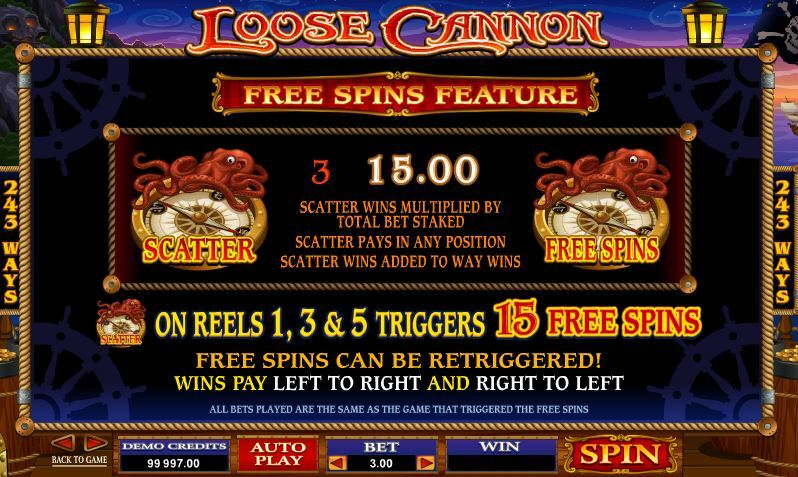 Compass symbols on reels 1, 3 and 5 trigger 15 free games which can be retriggered and these spins pay both L- R and R- L, similar to Run Mode in Battlestar Galactica slot. 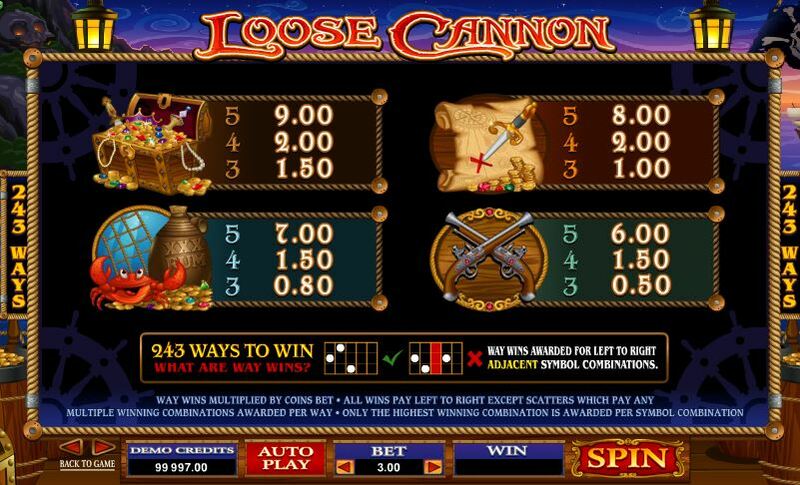 RTP is 96.13%.